Singer/songwriter & podcast veteran Todd Donald seeks informal, interesting and silly conversations with fellow creatives. Meet Carolynne & Lindsay from Fearless Heart Yoga, in Waterloo. This episode is a meditation, so please forgive the complete abandon of “interview practices” this time around, finally. Todd was invited into the studio, to chat with Carolynne & Lindsay, over coffee. Such ground as: what the term “Yoga” means to them, the self, mindfulness, how to brain better, and more are discussed; and all in a rolling motion. Enjoy the wonderful intellects and warm presence, and also the host. 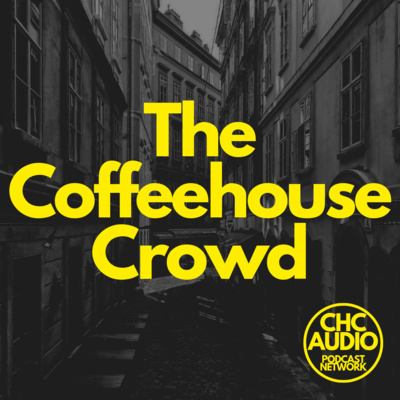 This is WR folk singer/songwriter Jesse Parent’s third podcast record with his old friend Todd, but the first on CHC, and we’ll have to serve you the additional material sometime. This time, Jesse came by to spread the word about his upcoming LIVE ALBUM show & recording, March 24 at The Rich Uncle Tavern in Kitchener); tickets for sale, and more info can be found at JesseParentMusic.com. We also unpacked some very quoteable and soul-baring Jesse, while having some laughs, and recalling their shared way-back memory, of radio DJ’ing at CJIQ. Includes three live & acoustic performances! Kayla and Matt return to chat about the second season of their media review podcast There Was A Sale. Todd asked about the new season, transitioning from cinema to literature, went down the rabbit hole of ‘why collect things?’, ‘why make a podcast?’,all with Todd being not-fully-awake, yet hyper-actively intense about getting to see them again! It’s not more of Episode 14, it’s the sequel baby! Meet Hayley Kellett, the Improv Incubator Director of Guelph’s The Making-Box, which doubles as a live theatre venue, improv school, and triples as a community, since it’s opening in 2013. Hayley coins the mantra “Listen, connect and respond”, and chats with Todd about the merits of failure, stick-to-it-ivenes, all-inclusive creativity and putting in the work. Enjoy! 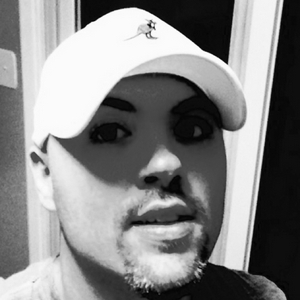 Sort of a follow up, we meet Justin Godelie, another of the hosts from Pull The Plug podcast! They really aren’t so different, he and Todd… Clearly, what the world needs more of, is two dudes being moronic… on the bright side, they’re the variety of lads that agree with the message of the Gillette ad; yet don’t shave. Actress, director and more, Emily Schooley returns to the kitchen; whom you may’ve heard last year on ‘Todd’s Café’, promoting OutFest 2018 with Erika Reesor. This time around E and T chat about the ins/outs of being a creative, they examine the human race, Gillette, gender dichotomy, Batman & Catwoman and snowfall! On one hand you have season 1 of local podcast, There Was A Sale, hosted by Matt & Kayla. Season 1 discusses the merits of films inhabiting Matt’s collection, paired by Kayla, with a drink closely matching the theme or aesthetic of the movie. Any sort of thing tickles Todd both as a nerd, and podcast junkie. So kindly, they obliged to join him for a chat on ‘Todd’s Café’ in the spring of last year. Enjoy this, and stay tuned for their 2019 return, promoting Season 2 of TWAS! It was a long time coming for Todd to sit down with A New Ground, having met Ryan Dugal & Claryssa Webb several years ago, and discovered their versitile range of creative and performing talents. Joined together, they are the powerhouse known as A New Ground, equally as interesting to chat with, as to hear their music - which you can hear live and acoustic at the end of course! Cameron & Mitchell stopped by, representing the hardworking, KW/Toronto-based “Pop-Punk Hosers”, Among Legends. Get the full scope of AL coolness, by visiting them online and watching their vids, or better yet see them LIVE! On the program, they chat with Todd about pop-punk in the 21st century, creativity, hopes and dreams, AND they ended the show by performing 3 tunes, ilve and acoustic. Rob Szabo is an established and award winning, Ontario-based producer, collaborative songwriter, and once mainly a touring solo artist, prior to that a bandmate. Most importantly, just kidding, additionally, he’s one of Todd’s favourite all time artists. They chat about the creative process, personalities, and rave about the wonderful talent in our province. Rob plays a tune on the acoustic at the end, but as an add on, we have 3 performances from Rob’s CKMS appearance in 2008. Mandippal is a WR cover-circuit titan, with a golden voice and personality. He and Todd have known each other since they were wee lads entering the singer/songwriter scene in their 20s. The region, and their hair styles have changed… that’s about it. Or… maybe listen to see what else!? Mandippal also performs three original songs, on his ol’ acoustic! Todd joined psychedelic indie instrumental team, Hawkeyes, on a Sunday morning at their HQ Order Of The Ape, and chatted with the six-tet, in twos, about how the band does what Hawkeyes do best. What is a Hawkeye? What do they eat? Hear them say words! Twas Now is a Canadian romance story, and a hypnotically pleasing musical force that timelessly seam the folk of yesteryear into the modern singer/songwriter scene. Todd goes along way back with Mike Erb, but chatting with Diana and Mike Erb together, felt in the company of two longtime friends. They were kind enough to come from New Hamburg both to chat, AND pleased the show with two acoustic, off-the-floor song performances. 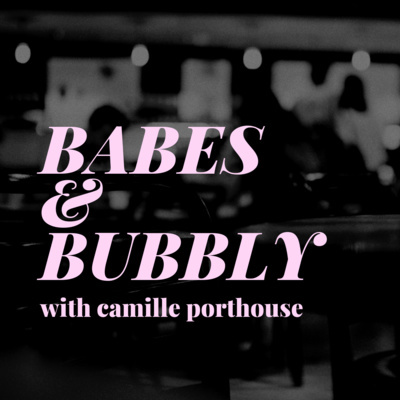 Grab a drink, sit down and kick back with Camille Porthouse, owner and head visual artist at Fairy Goth Mother Studios as she answers fan questions and speaks candidly about musical influence, feminism, and sending nudes. Natasha McKenty is host of Rogers’ In Studio program by day, and an emerging PR guru by… all the time! Aside from that, she’s a wonderful fellow eccentric, who chatted with Todd about all things family, entertainment, interviewing and finally drops a public F-bomb. Will this experience be what inspires or deters her from launching her own podcast? We’ll all find out together! The prior iteration of podcasting for Todd, was the titular ‘Todd’s Café’, and it’s a shame to negate such wonderful chats from this year in light of presenting new ones! So, included here are two chats with friends made recently at Rhapsody Barrel Bar’s open-mic nights; photographer Sylvia Pond, and musician Dan Grace (who performed a few cover tunes on the acoustic guitar). Vienna D’Amato Hall is a unique spirit, who’s relationship with the internet is intermittent, but she’s been nice enough to grace Todd’s show, with her wonderful personality and intelligence on more than one occasion, complete with acoustic performances. She came by recently to chat about her amazing upcoming releases, “Long Stay Hotel” EP and the LP to follow in 2019. As an added bonus/tag, you’ll hear Vienna’s interview and performance from Todd’s 2016 podcast episode. AntiSocial Surf Club is a beachy pop/punk band of 4 20-something guys that sing and play instruments. They’re also a fun-lovin’ group of youngsters, at least in relation to Todd… so Matt and Bennett from BSSC stopped by to chat with him about pop-punk, and being in a band 20 years later. They also performed 3 acoustic versions of their surfy anthems for the show! The only remnants Todd has of two of his favourite Canadian indie bands, other than great memories, are the two podcasts he recorded in 2008; with Kitchener’s Vacuity and Vancouver’s The Human Statues. Both bands were guests on his radio show, and performed live with him. This episode presents all these lads in a hangout setting, each performing a few acoustic songs while there. Paige Warner is a superb ermerging talent, with a dynamic and versitle genre-scope. Todd had the chance to sit down, chat with and hear songs from this gold-haired titan, twice. The first time was shortly after the release of her 5-track EP “Revealed”, and we catch up with her again here in the fall! This episode of course, comes complete with 3 live and acoustic performances. Ophelia Syndrome is an intensely talented range and mix of collaborative talent, fronted by a powerhouse vocalist by the name of Deanna, and based in the GHA of Ontario. This episode is made-up of 2 interviews conducted over the years, as well as two live & acoustic performance couplets. To start us off, Todd monologues about another epiphany in his long journey as a podcaster, Darel Dean and Katy Topham join to discuss the possibilities of this as a multi-program podcast, lastly, Shannon Godelie from Pull The Plug podcast gives Todd and CHC the golden send-off, chatting about their parallel journey. Features the track “Charades” by Sarah Bernardo, available on iTunes (click here).